Wife of Anambra State Governor, Mrs Ebelechukwu Obiano has in the five years that her husband has tended the state earned for herself the title of ‘Anambra’s Mother Theresa’. From building houses for indigent widows in the state to training women in skill acquisition and setting them up with capital and purchase of equipment, down to her efforts in bringing sanity to insane people through rehabilitation, Mrs Obiano stands out. Not so long ago, she had also distributed prosthetic limbs and arms to physically challenged people in Anambra, and she has remained consistent in making it a regular affair, all free of charge for those who register at her office and have the measurement of their limbs taken by the expatriate workers, who she contacts for the job. All these she does through her non governmental organisation, Caring Family Enhancement Initiative(CAFE). It was tears of joy and encomium for beneficiaries of her empowerment months back too, during the graduation ceremony of batch five of CAFE trainees as Obiano presented tools for small scale business ventures free to the beneficiaries. The equipment include sewing machines, baking tools, gas cooker with oven, hair dressing kits and dryers, soap making mould and scale weight measure and computer sets and repair kits amongst others. 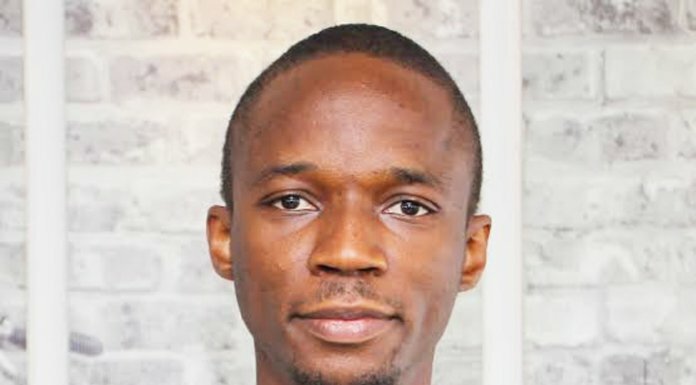 Each person equally received start-up capital of the sum of N20,000 and another N2,000 as transportation money back home. The 350 graduands had previously undergone six weeks intensive training programme in 2018 in various skills including Hairdressing, Tailoring & Fashion Design, Bakery & Confectionery, Soap making and Computer repairs. Addressing the graduands, Obiano said it gives her immense pleasure to see smiles on the faces of the needy, adding that she felt fulfilled to have come far in helping mankind. She tasked the beneficiaries to build on their new skills, equipment and start-up capital they received and ensure they make good use of the resources. Many have always wondered what her inspiration is, especially as she is known to have embarked on visits to the home of prominent persons in the state just to ask for assistance that can help her take care of the needy. 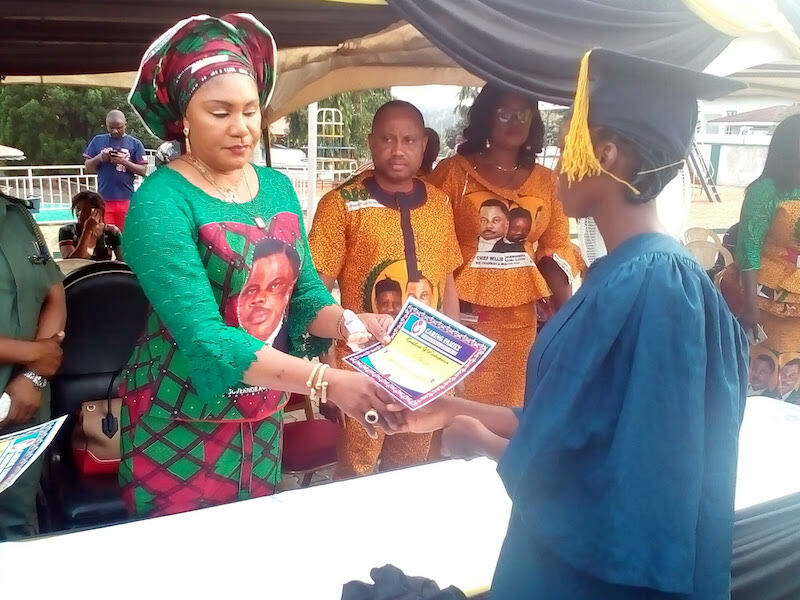 But recently, in a programme while addressing women she disclosed that her goal was to groom economically self-reliant women who are able to make positive contributions for the growth and progress of the family and the community, especially in Anambra. Obiano who is most popularly addressed as Osodieme(one who joins her husband in impacting society) highlighted that CAFÉ initiatives has in total impacted about 5,000 women with training and new skills, and empowerment free-of-charge in several areas. She has recently found a new area of impacting society by partnering an international organisation, Smile Train in offering free surgeries for children with cleft lips and palate in the state. The birth defect, which was formerly seen as not having any solution, especially among indigent people has today become an easy thing to deal with, through Mrs Obiano’s CAFE, which has so far offered free corrective surgeries to as many as over 100 patients in the state. Weeks back, she broke a new record as the first partnership organisation to meet with Smile Train in its new York office. The President/Chief Executive of Smile Train, Susannah Shafer had invited her to a meeting for her immense contributions, and selfless services through her NGO to cleft care, by facilitating corrective surgeries for children with congenital birth defect of cleft lip or palate in Anambra State. Shafer commended her during the global partner meeting with the CAFÉ team, which she led to the corporate headquarters of Smile Train, 633 Third Avenue, New York, United States of America. She acknowledged CAFE’s successful collaboration with Smile Train in Nigeria for five years stressing that the meeting with Osodieme is the first of its kind with a partner organisation at their headquarters. According to Shafer; “it is incredible, what you are doing in the area of the welfare of women and children is amazing”. The Chief Executive of Smile Train explained that the work of the organisation is empowerment; raising of funding for awareness about cleft deformity and channeling the funds and resources to local medical professionals in partner hospitals so that children in the communities can benefit through life saving surgeries. Shafer further stated that it is important to Smile Train that they have not just the medical provision but government support of the initiative in local communities. She pledged the organisation’s support through awareness grant to partner hospitals to boost campaign identifying and locating cleft lip/palate patients especially in hard to reach communities. In her reaction, Obiano thanked Shafer for the technical support of the Smile Train team, which has seen CAFÉ facilitating over one hundred free corrective surgeries performed on beneficiaries in the state. She noted that the meeting has been rewarding because it has not only cemented the ongoing partnership between the two organisations but has yielded the additional benefit of funding through the local hospital for more awareness creation. She further stated that one of the ways CAFE fights trafficking in persons is through other initiatives like the skills training and empowerment of over 4,400 women in the following areas: Tailoring and Fashion design, Soap making, Bakery and Confectionery, Hair dressing and Beauty Therapy, and Interior Decoration, Telephone and Computer repairs, Community Health Assistant Services as one way of encouraging their financial independence. She expressed happiness that the international organisation focused on empowering local medical professionals to provide free cleft lip and/or palate surgery and comprehensive cleft care to children globally; shares similarity with CAFÉ, which is an NGO with the vision to being a beacon of sustainable empowerment for indigent women and widows, youths, the physically challenged and the less privileged.